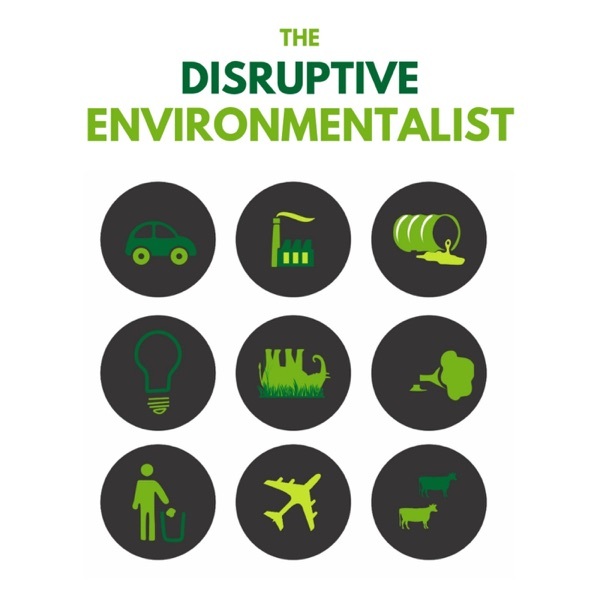 The Disruptive Environmentalist | Listen Free on Castbox. It is now pretty common knowledge that cutting down on meat consumption is one of the best things we can do individually for the environment…. but globally we just keep eating more of it. So is there another way we can greatly reduce this impact and without going vegan?Today's interviewee is Shir Friedman from clean meat company SuperMeat, based in Israel. They are one of the leaders in this growing industry and with a focus on poultry currently, they are getting closer and closer to a final product. In this interview, I ask about the process, how big meat producers feel about this disruptive idea and how it might go down with vegans. The computer games industry is now estimated to be worth over $100 billion. But could this ultimate disruptive industry help us save the planet?In this episode, I speak to Dr Umran Ali a computer games professor and self-confessed ‘digital native’ from the University of Salford (UK), about how we can potentially use games to educate and inspire around environmental issues. Olio is an app that aims to tackle the problem of food waste by in their words:Connecting neighbours with each other and with local businesses so surplus food can be shared, not thrown away. In the episode I speak to founder Tessa Clarke how the idea for the app started? How did they get from idea to product? How does it make money? And what other benefits an app like this may have such as building up local communities that are starting to disappear in many areas. The environmental issue of non-biodegradable plastics is more well known than ever before. Despite efforts to recycle more of it a huge 91% of plastics still aren’t recycled, ending up in landfills or in the oceans, taking around 400 years to degrade.One of the ways to disrupt our plastic problem is to make plastics that degrade much faster and this is what the disruptive environmentalists I interview in this episode from startup Mobius are doing.And they are doing so by finding 'wonder in waste'. A big part of this podcast series is about seeking out new inspiring businesses that are bettering the environment by disrupting the status quo. But what if you have one of these ideas yourself? Where do you start, especially if it is a big idea that seems too big to tackle? Well, I also wonder this quite a lot and so I've tried to find some answers by interviewing a host of another podcast, Jay Clouse. Jay is a business owner himself and hosts a podcast called Upside.fm where they speak to business owners from outside of silicon valley. With this wealth of experience and from business and podcast he provides some excellent tips and insights on starting a disruptive environmental business. Moving away from innovations and onto new perspectives this week, as I interview an academic who says we need to get down from our ivory towers, stop the finger pointing and start communicating better about environmental issues.This podcast series isn’t just about shining a spotlight on innovators and businesses that are disrupting the way we deal with environmental issues, it is also a chance to speak to people who might offer a different perspective. When trying to influence behaviour around environmental issues, sometimes it feels like no matter how hard we try, the message just doesn’t get through to certain groups of people. With America withdrawing from Paris Climate Accord for example, it seems like things are almost getting worse.But instead of looking for new approaches or different tactics, we too often resort to simply shouting more loudly within our echo chambers.So how do we influence people on an individual and also group level in an effective way and help instill new behaviours?Well for some answers I’ve turned to academia to speak to an academic who is working on this exact thing, to try and get some answers.Dr David Rose is a lecturer at the University of East Anglia. His recent publications include papers such as "understanding how to influence farmers’ decision-making behaviour". And as the agricultural industry is often touted by environmentalists as an area that needs to see some of the biggest changes, I thought this was a good place to start.Prepare for a few bitter reality checks, and of course, Brexit and Trump get a mention to. We also question whether we should be more optimistic about the whole thing.